2302001 60 DEUTZ-FAHR 60 Agro tractor Spare Parts Catalog. 2302002 67 DEUTZ-FAHR 67 Agro tractor Spare Parts Catalog. 2302003 70 DEUTZ-FAHR 70 Agro tractor Spare Parts Catalog. 2302004 75 DEUTZ-FAHR 75 Agro tractor Spare Parts Catalog. 2302005 77 DEUTZ-FAHR 77 Agro tractor Spare Parts Catalog. 2302006 85 DEUTZ-FAHR 85 Agro tractor Spare Parts Catalog. 2302007 80 DEUTZ-FAHR 80 Agro tractor Spare Parts Catalog. 2302008 87 DEUTZ-FAHR 87 Agro tractor Spare Parts Catalog. 2302009 95 DEUTZ-FAHR 95 Agro tractor Spare Parts Catalog. 2302010 100 DEUTZ-FAHR 100 Agro tractor Spare Parts Catalog. 2302011 310 F ECOLINE DEUTZ-FAHR 310 F ECOLINE Agro tractor Spare Parts Catalog. 2302012 320 F DEUTZ-FAHR 320 F Agro tractor Spare Parts Catalog. 2302013 320 F ECOLINE DEUTZ-FAHR 320 F ECOLINE Agro tractor Spare Parts Catalog. 2302014 410 F DEUTZ-FAHR 410 F Agro tractor Spare Parts Catalog. 2302015 410 F ECOLINE DEUTZ-FAHR 410 F ECOLINE Agro tractor Spare Parts Catalog. 2302016 420 F DEUTZ-FAHR 420 F Agro tractor Spare Parts Catalog. 2302017 70 S (20'') DEUTZ-FAHR 70 S (20'') Agro tractor Spare Parts Catalog. 2302018 70 S (24'' - 28'') DEUTZ-FAHR 70 S (24'' - 28'') Agro tractor Spare Parts Catalog. 2302019 75 S (20'') DEUTZ-FAHR 75 S (20'') Agro tractor Spare Parts Catalog. 2302020 75 S (24'' - 28'') DEUTZ-FAHR 75 S (24'' - 28'') Agro tractor Spare Parts Catalog. 2302021 90 S (20'') DEUTZ-FAHR 90 S (20'') Agro tractor Spare Parts Catalog. 2302022 90 S (24'' - 28'') DEUTZ-FAHR 90 S (24'' - 28'') Agro tractor Spare Parts Catalog. 2302023 100 S (20'') DEUTZ-FAHR 100 S (20'') Agro tractor Spare Parts Catalog. 2302024 100 S (24'' - 28'') DEUTZ-FAHR 100 S (24'' - 28'') Agro tractor Spare Parts Catalog. 2302025 320 S DEUTZ-FAHR 320 S Agro tractor Spare Parts Catalog. 2302026 410 S DEUTZ-FAHR 410 S Agro tractor Spare Parts Catalog. 2302027 420 S DEUTZ-FAHR 420 S Agro tractor Spare Parts Catalog. 2302028 S 70 (20'') DEUTZ-FAHR S 70 (20'') Agro tractor Spare Parts Catalog. 2302029 S 70 (24'' - 28'') DEUTZ-FAHR S 70 (24'' - 28'') Agro tractor Spare Parts Catalog. 2302030 S 75 (20'') DEUTZ-FAHR S 75 (20'') Agro tractor Spare Parts Catalog. 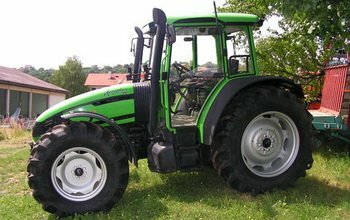 2302031 S 75 (24'' - 28'') DEUTZ-FAHR S 75 (24'' - 28'') Agro tractor Spare Parts Catalog. 2302032 S 90 (20'') DEUTZ-FAHR S 90 (20'') Agro tractor Spare Parts Catalog. 2302033 S 90 (24'' - 28'') DEUTZ-FAHR S 90 (24'' - 28'') Agro tractor Spare Parts Catalog. 2302034 S 100 (20'') DEUTZ-FAHR S 100 (20'') Agro tractor Spare Parts Catalog. 2302035 S 100 (24'' - 28'') DEUTZ-FAHR S 100 (24'' - 28'') Agro tractor Spare Parts Catalog. 2302036 F 70 DEUTZ-FAHR F 70 Agro tractor Spare Parts Catalog. 2302037 F 75 DEUTZ-FAHR F 75 Agro tractor Spare Parts Catalog. 2302038 F 90 DEUTZ-FAHR F 90 Agro tractor Spare Parts Catalog. 2302039 F 100 DEUTZ-FAHR F 100 Agro tractor Spare Parts Catalog. 2302040 320 V DEUTZ-FAHR 320 V Agro tractor Spare Parts Catalog. 2302041 410 V DEUTZ-FAHR 410 V Agro tractor Spare Parts Catalog. 2302042 420 V DEUTZ-FAHR 420 V Agro tractor Spare Parts Catalog. 2302044 4.31 DEUTZ-FAHR 4.31 Agro tractor Spare Parts Catalog. 2302045 4.51 DEUTZ-FAHR 4.51 Agro tractor Spare Parts Catalog. 2302046 4.56 DEUTZ-FAHR 4.56 Agro tractor Spare Parts Catalog. 2302047 6.06 DEUTZ-FAHR 6.06 Agro tractor Spare Parts Catalog. 2302048 6.16 DEUTZ-FAHR 6.16 Agro tractor Spare Parts Catalog. 2302050 4.61 DEUTZ-FAHR 4.61 Agro tractor Spare Parts Catalog. 2302051 4.71 DEUTZ-FAHR 4.71 Agro tractor Spare Parts Catalog. 2302052 6.11 DEUTZ-FAHR 6.11 Agro tractor Spare Parts Catalog. 2302053 6.21 DEUTZ-FAHR 6.21 Agro tractor Spare Parts Catalog. 2302054 6.31 DEUTZ-FAHR 6.31 Agro tractor Spare Parts Catalog. 2302055 6.61 DEUTZ-FAHR 6.61 Agro tractor Spare Parts Catalog. 2302056 4.68 DEUTZ-FAHR 4.68 Agro tractor Spare Parts Catalog. 2302057 4.78 DEUTZ-FAHR 4.78 Agro tractor Spare Parts Catalog. 2302058 6.08 DEUTZ-FAHR 6.08 Agro tractor Spare Parts Catalog. 2302059 6.28 DEUTZ-FAHR 6.28 Agro tractor Spare Parts Catalog. 2302060 6.38 DEUTZ-FAHR 6.38 Agro tractor Spare Parts Catalog. 2302061 TG 6.71 DEUTZ-FAHR TG 6.71 Agro tractor Spare Parts Catalog. 2302062 TG 6.81 DEUTZ-FAHR TG 6.81 Agro tractor Spare Parts Catalog. 2302064 100 DEUTZ-FAHR 100 Agro tractor Spare Parts Catalog. 2302065 120 DEUTZ-FAHR 120 Agro tractor Spare Parts Catalog. 2302066 140 DEUTZ-FAHR 140 Agro tractor Spare Parts Catalog.